There are numerous ways of making your wedding kid-friendly, and one of these options is to include wedding games for kids in your itinerary. Finding kid friendly locations, menus, and scheduling the time for the wedding with the kids in mind goes a long way too. However, nothing will keep those kids engaged as much as well planned and organized kids wedding activities. Therefore, if you find you are at a loss for ideas on children activities at your wedding, then lucky you, we have quite a few options in store. Also, this handy infographic gives some helpful suggestions for ways to keep children entertained. If you are having your wedding at an outdoors location, then it is necessary to get outdoor wedding games for kids. 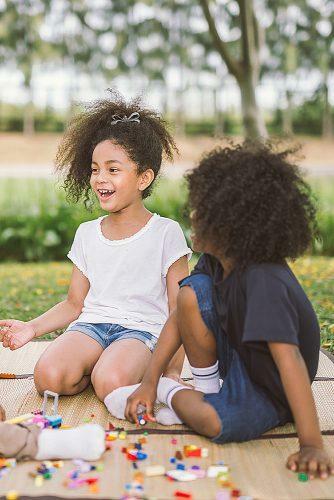 Kids do not like to be cooped up, and so the advantage of this is that they get to roam free and entertain themselves without feeling restrained. Similar to bocce, this is a fun game that takes a lot of concentration and can keep competitive kids entertained for quite some time. Derived from the Swahili word, Kujenga, outdoor Jenga provides the fun and excitement of indoor Jenga, but at a higher level. This would make a great choice if you are thinking about outdoor wedding games. Once you have the mat and the players, of course, you can get the game going. This game is fun for kids and adults alike so you are sure to keep the kids occupied. If you want a spin on things, you can include bean bag Twister too. You are never too young or too old to build an outdoor Lego dream house. It’s fun, and the kids can look forward to great pictures with their creation every time something gets built. With so many attractive and easy to couple indoor forts, creating a few just for the kids is easy. You can buy a kit online or parents can just create one on their own. Either way, this is sure to keep them entertained. While this is mostly an outdoors game, it can also be played indoors if a portion of the room is allocated to the kids. A tabletop game that is sure to keep the kids seated and playing at their tables for a period of time that their attention span allows. A fun game that keeps kids focused and trying to figure out stuff will definitely take their attention for quite some time. The operation is a great idea for an indoors wedding game for kids. You can discover the future fashion moguls in the group by giving them a task of creating or recreating a wedding dress for the bride. Withdrawing and coloring tools, the kids can be put to work, making fun cards for the bride and even the groom. The kids can each have small sized wedding cakes to decorate at will. There are a number of games kids can play with silly putty; including finding little treasures that might have been hidden in them earlier. The game can be set on a timer where the first to find each treasure wins. Much like silly putty, play dough is just as fun if not more, to play with and keep kids occupied for some time. Puzzles and activity books are a great way to keep those little minds focused and in one place. This type of activity ensures that they are at their table, and distracted while adults have their time in the sun. Bring out your crayons, charcoal pencils and other coloring tools. The complexity of the coloring books is determined by the ages of the kids and each one is sure to take some time off the clock. Customize a game of I Spy to add some spice into the children’s activities. When choosing a wedding activity for kids, this one can be quite a time consuming if planned well. The kids will have fun, and it can be integrated with the rest of the wedding party where the adults join in too. Feeling creative enough to handle some DIY kids games, and do you have space? 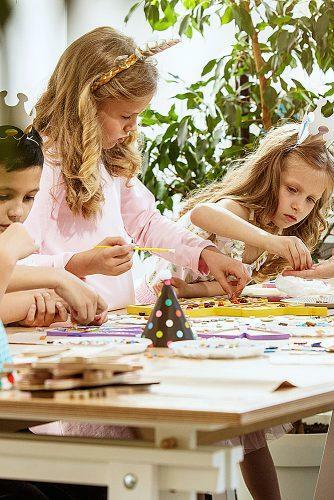 If you are up for it and want to keep the children thoroughly entertained, then there are DIY activities you could employ. With a little help from family or even the parents, you could create entertainment zones. Movies are sure to keep kids entertained for quite a while. Creating a movie room for part of your wedding entertainment is an ingenious idea especially for kids. 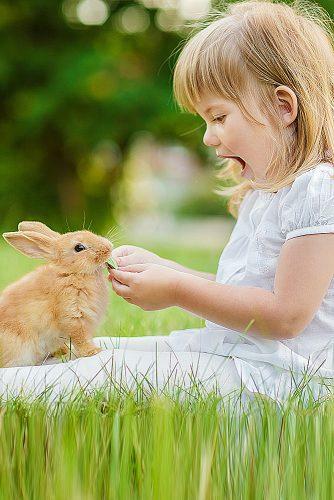 A great outdoors attraction for kids is a petting zoo. As long as you have the space and time for it, this is a lovely idea. A children’s toy area packed with toys for their range of ages is another option when thinking wedding games for kids. 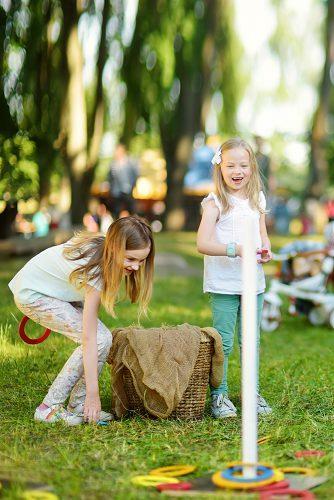 With fun clues and discoveries, a well-planned treasure or scavenger hunt is enough to keep the kids at the wedding well entertained and preoccupied. While a wedding is a serious event that joins two people and two families together, it can also be fun. There are quite a number of fun wedding activities, that can change the ambiance of the whole event. For a fun and memorable all-around special wedding, here are some of the cool activities you should include. 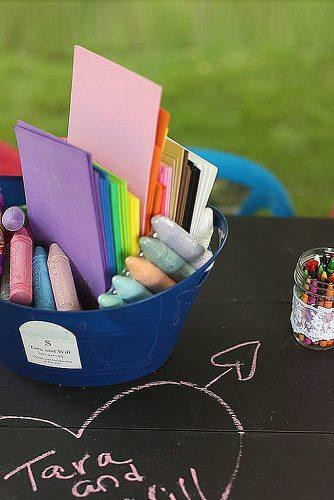 A ring toss can be a fun game for kids and for your guests at the same time, especially for an outdoor wedding. Nothing like kicking your shoes off and having some fun. Just another game which can be fun for kids and adults. It can even be customized to add a wedding theme to it with prizes to make it even more competitive. While this might be difficult to set up, it will definitely be a lot of fun for the kids and adults alike. Allow your guests, kids, and adults, spin the wheel to get prizes or do a dance and have some wedding themed fun. 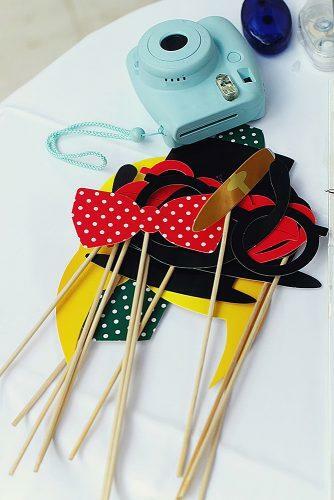 A lovely distraction for the children, a photo booth is one photography type entertainment they will love. Jigsaws can be so time-consuming, fun and creative. Just the type of occupation you might be looking for, for the kids. To add the wedding theme to it, you could create a puzzle out of the bride and groom wedding photos or even the venues. In addition to the regular game of I Spy, each kid could have a portable camera to take pictures of items that have the first letter in question. For instance, they could be asked to take four pictures each of things beginning with the letter G.
You want happy kids for a happy wedding, so it should be paramount on your list of to-dos, to keep the kids engaged and entertained for the duration of the event. While you can choose from our list of options above, there are most definitely other ways of engaging kids at a wedding. If budget allows, you or the parents could hire professional entertainment, such as clowns or magicians. Childminders could also be hired to oversee the kids as they play at their tables or take turns swinging at a piñata. There are so many options to choose from different wedding games for kids. Whichever way, you will definitely be happy and have a much smoother wedding if the kids are considered in the mix. Now go have yourself the most kid-friendly time of your life.